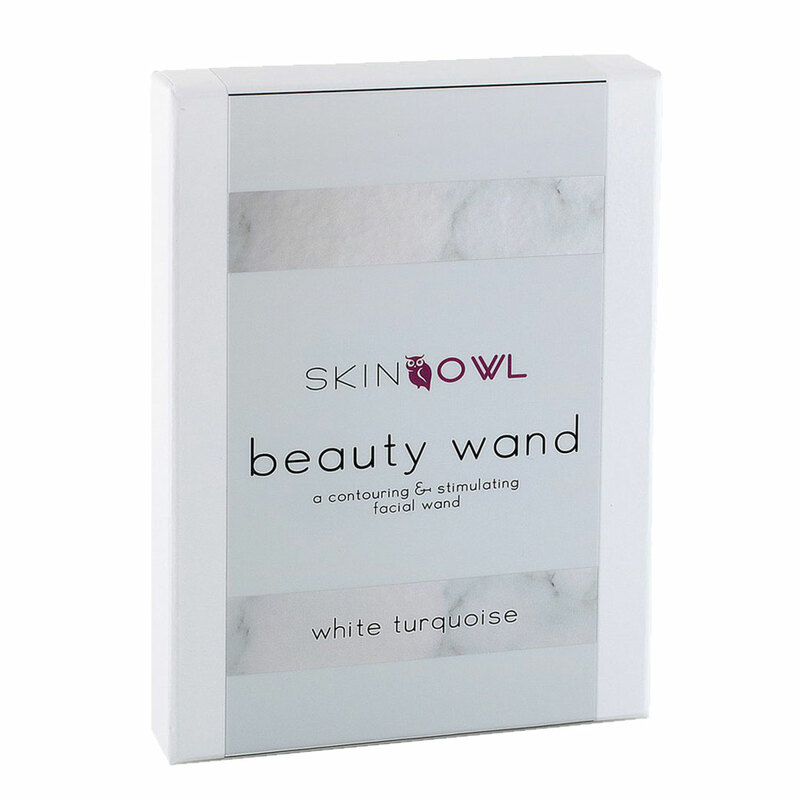 As gorgeous as it is effective, Skin Owl Beauty Wand bestows beauty benefits while stimulating the senses. 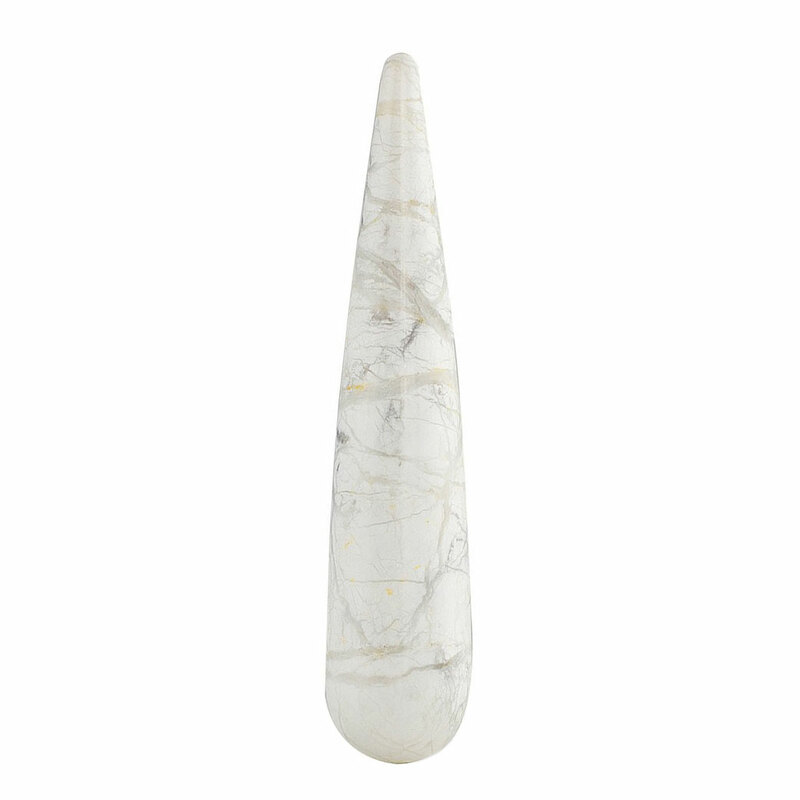 Made of rare white turquoise, this smooth stone wand gently diminishes the appearance of puffiness, fine lines, and sagging, leaving skin looking firm, smooth, and refined. 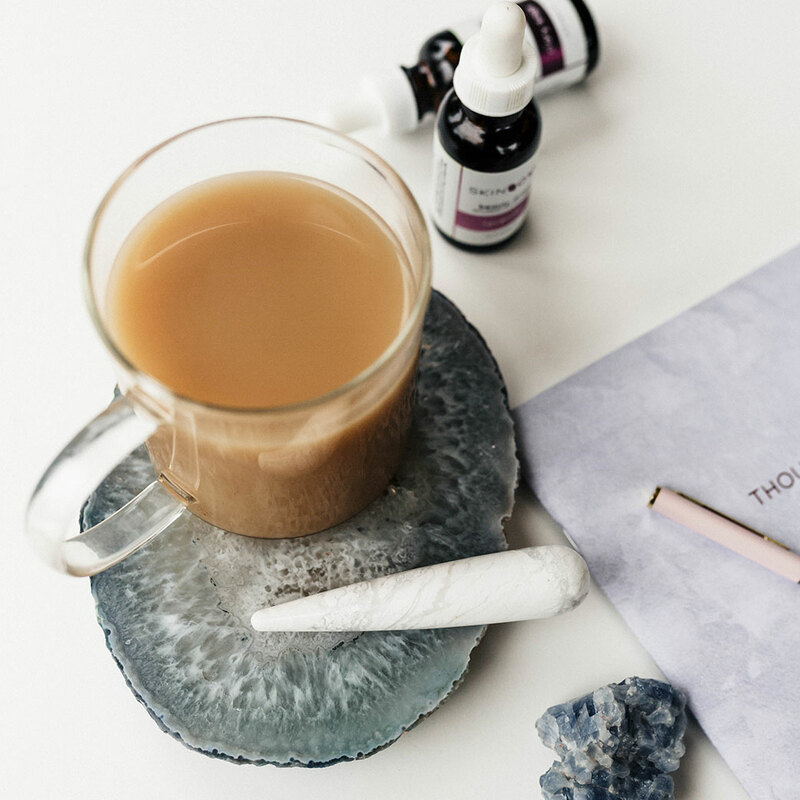 Beyond its many beauty advantages, this tool works to relieve feelings of tension in both body and mind, and lends a sensation of grounding confidence to the spirit. Perfect in times of stress, sleeplessness, and low positive energy. Use as part of a daily self-care routine. 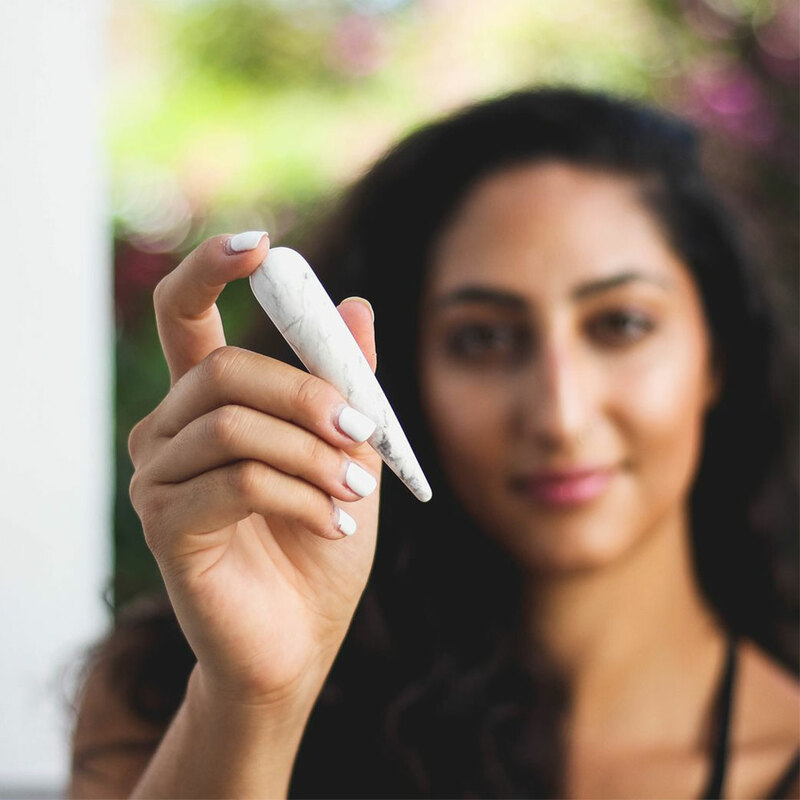 With light pressure, begin at the chin and, using the larger end, gently wiggle the wand horizontally toward the hairline. Move to side of nose and wiggle outward towards the ear. Switching to the smaller end, begin at the inner corner of eye and move out to the temple. 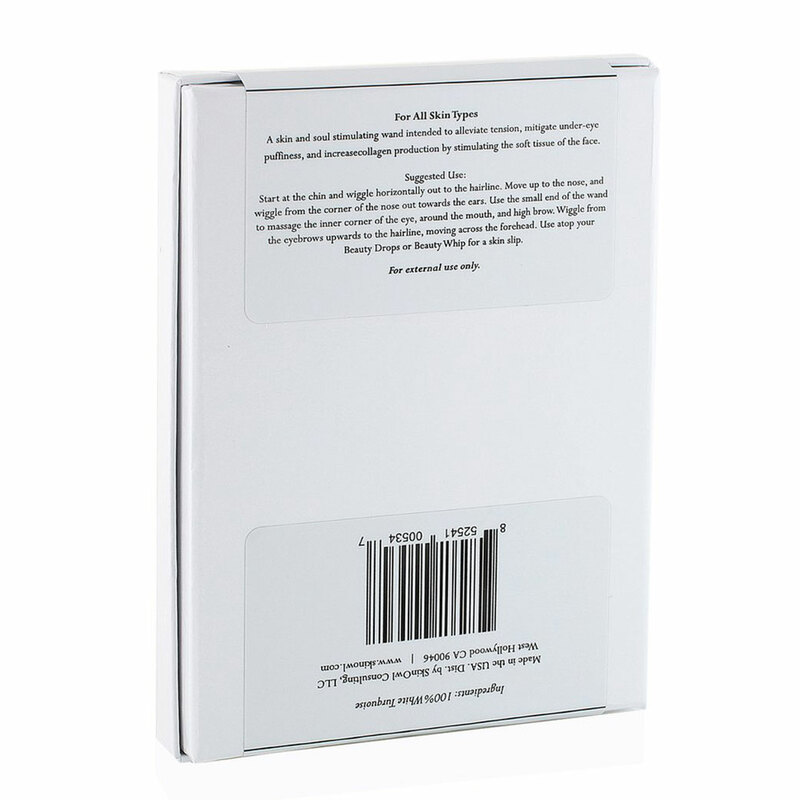 Using larger end, start above eyebrows and wiggle downward to temple. Place the wand at inner corner of brow and wiggle up and out toward the hairline while moving across the forehead. Repeat on other side of face. Made of 100% White Turquoise, also known as Howlite.